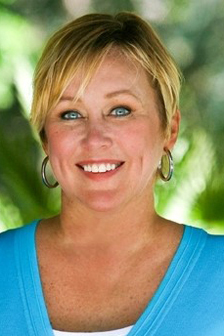 A licensed Realtor® in the Sarasota market since 2006, Jill brings a formidable combination of local expertise and a background in marketing/public relations to her real estate practice. With a passion for all-things-related-to-the-home and an entrepreneurial mindset, Jill found the perfect fit for herself as a residential sales agent. She believes in conducting her business with kindness and integrity – taki... more.ng care of buyers and sellers to no end. Beyond her intimate knowledge of the region, she is known for her skills working with sellers to ensure their home is perfectly ready to show. Navigating the real estate market, Jill worked with both RE/MAX Alliance Group and Coldwell Banker and has earned her GRI, ePro, SFR, CNHS, and RCC (Residential Construction Certification) designations. Her impressive sales figures and community goodwill have resulted in recognitions that include the 100% Club, Spirit Award, and consistently given the 5-Star Professional Award. Jill’s background owning an advertising/PR firm for 20+ years provides her customers not only with innovative marketing and exposure for their properties, but a level of polish and professionalism unique to the real estate industry. Jill is active in the Chalk Festival and the Junior League of Sarasota where she was awarded the Spirit of the League Award twice – for her exceptional guidance of the PR committee and chairing the Art of Food Festival. She is also an award-winning blogger (SarasotaFoodies.com) and a published author on the topic of powerboat racing. Her book, “The Offshore Grand Prix, There’s No Turning Back” was a best-seller in its category. Jill grew up an Air Force brat, born in Portland, OR, and has lived on air bases in Biloxi, MS Bitburgh, Germany, Minot, ND, San Antonio, TX, and more. She now lives on north Casey Key where she revels in the being near the water and open sky. She has been with her husband, Mart Solu, for eleven years and has two adult step-children, Jennifer and Tyler, as well as two dogs, Jeffey and Summer.